Novotel Miami Brickell is modern and elegant while also offering convenience, comfort and breathtaking views. The Hotels holds 275 rooms that spread throughout the 12 floors and 5,000 sq ft of meeting and conference space. Discover convenient access to the very best of Downtown Miami, from the area's top businesses, outstanding shopping, and eclectic dining and nightlife scene, world class art, and more. 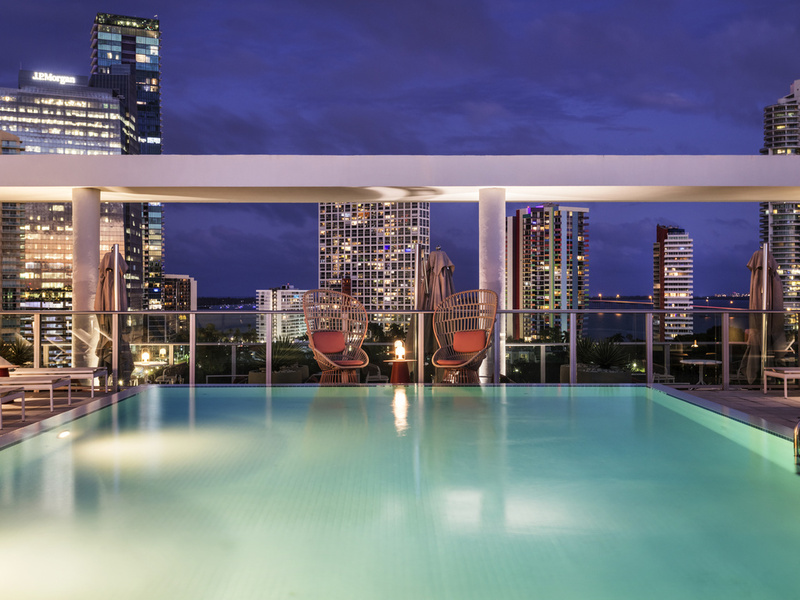 Novotel Miami Brickell is the perfect choice for savvy travelers. 5,000 square feet of meeting space featuring breathtaking views, and natural light. Named after one the most popular culinary destinations, Lima brings forth the many influences of Peruvian cuisine to the heart of Brickell. The menu features influences from the conquistadors of Spain and Portugal to the far east of Japan and Korea. UVA bar, is famed for their crisp drinks, terrific selection of Chilean and Argentinian wine and their signature Pisco Sours. Whether you are meeting friends, entertaining clients, or celebrating a special occasion, UVA provides the perfect atmosphere. Located just steps from our stunning infinity edge pool and selection of intimate private cabanas, Vista Pool Bar offers guests a delicious menu of signature tapas, refreshing craft cocktails, with incredible views of the Miami city skyline and bay.